Adam is your average working-class guy living in small-town America. He's an auto mechanic who spends his free time with his tight-knit band of bros, Chris, Nick and Ortu, with whom he does everything—poker, video games, shooting hoops, getting drunk and meeting women. But there is something about Adam that even his friends don't know. He is not that interested in women. When he comes out, sort of by accident but not really, his best friend Chris promises him that nothing will change but, of course, some things do. After the initial shock, the boys quickly come around to the fact that Adam is still the same dude, but when his double date with Chris ends disastrously, a drunken misunderstanding threatens to derail the group's entire dynamic. 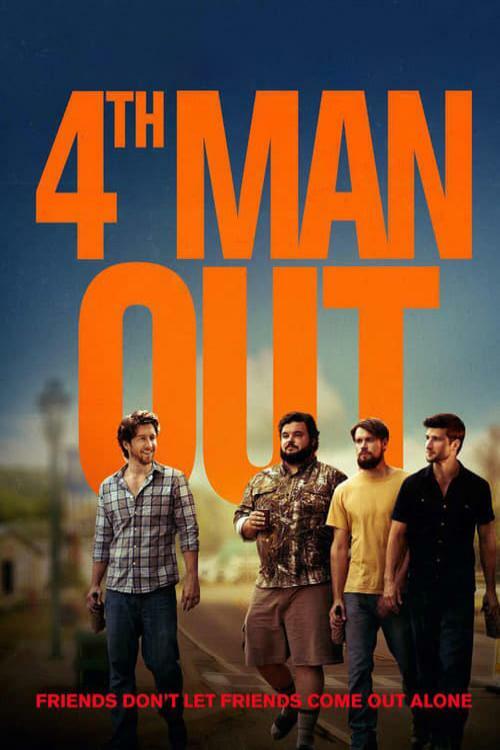 Fourth Man Out is a feel-good buddy comedy with plenty of heart that focuses on the growing pains and ultimate strengths of of friendship. Enjoyed this movie very well.. I found the humor pretty well written. I liked the interaction between the friends as well, made it seem very authentic.